Are you planning a party with food, dance and entertainment? Maybe a real vikingparty? Then Högloftet is the best option for you. The environment is rustic and genuine with a vintage touch. We can offer your great entertainment and traditional food with a modern touch. We even make ”mead” to make our guests feel like they were back in the viking age. Högloftet is perfect for bigger groups up to 250 people. Another option is Nyloftet which is a room that is connected to Högloftet but with same environment. It can take up to 125 guests. 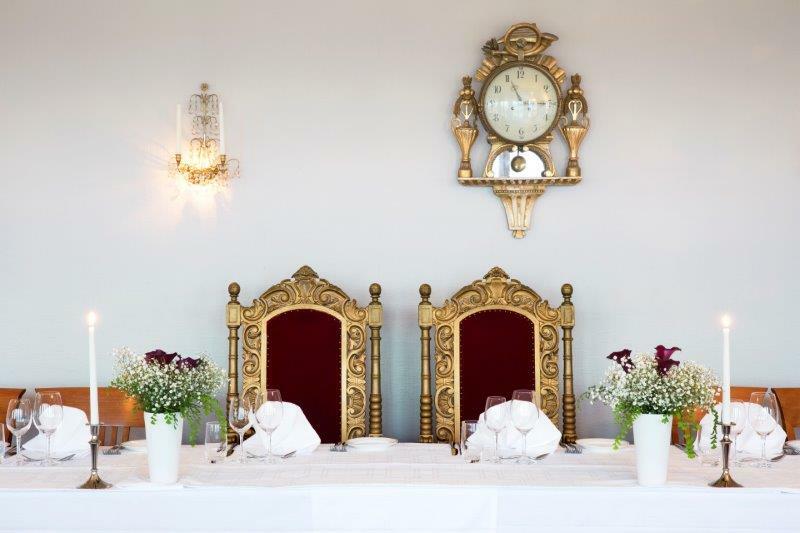 Next to Restaurant Solliden you can find a very beautiful and romantic room with amazing view over Sockholm. Here you can host a party for up to 120 people. Perfect for your wedding reception, 50 years anniversary or conference. Nyloftet is a beautiful room with rustic environment that can take up to 120 guests. On the ground floor you have Herrgårdsvåningen with a dining room and two smaller rooms, all furnished in 18th century style. Herrgårdsvåningen can host 50 guests. For bigger groups you can combine Herrgårdsvåningen with Nyloftet. Step right in to the 18th century and discover what it was like to go to a bar during that time. The restaurant Tre byttor has three small rooms and is suitable for intimate conferences and dinners.